Disney Cancer Center Clinical Patient and Bio-Specimen Research Streamlined. 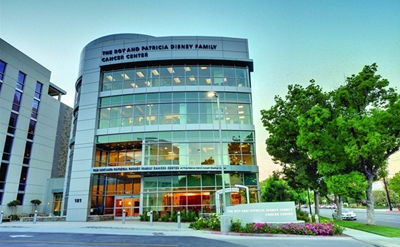 Framework Solutions successfully deployed their Biospecimen research database (A uniquely built Biorepository Database software system) for the Roy and Patricia Disney Family Cancer Center in Burbank. The Disney Cancer Center is part of the Providence Saint Joseph Medical Center, which is known for its state-of-the-art technology and high quality, compassionate care. Being at the forefront of Providence's reputation, with a patient-centered leading edge treatment facility, the Disney Cancer Center has an accomplished research role on a variety of cancer conditions. When the Disney Cancer Center decided to upgrade their Biorepository Database Software, they knew it would have to be integrated seamlessly and then enhance their already formidable array of software systems. For this to happen without causing any down time to their network or (more importantly) to their patients care, the Disney Cancer Center had to pick the right team. They had to be able to trust this team right from the beginning to develop and integrate a Biorepository database software system that would do exactly what it was supposed to. Back in 2007 Framework Solutions developed a unique and successful Biorepository database software application for John Wayne Cancer Insitute (JWCI) in Santa Monica (also part of Providence). This database was used to track over 2 million cancer specimens across a large and complexed freezer bank. After such positive results with the JWCI Roll out, Providence were keen to push for a regional deployment of Framework Solutions Biorepository software system and with such a positive endorsement, it was natural for the Disney Cancer Center to follow suit when upgrading their Biospecimen research database. 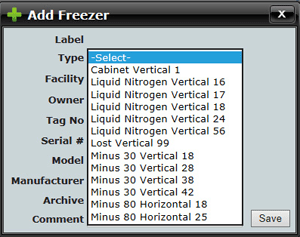 The new Biorepository database software that Framework Solutions deployed at the Disney Cancer Center offers their researchers the opportunity to easily setup and configure a variety of different freezer types to be supported including liquid nitrogen, minus 30 and minus 80 degree models. To give even more breadth to configurations, both vertical and horizontal freezer orientations are supported within the software. All Patients at the Disney Cancer Center have the choice to consent to being part of a research protocol. If consent is given then all clinical diagnosis and treatment data is continually collected over the duration of a patients treatment cycle, however long that may be. Framework Solution's new Biorepository database software streamlined, amongst other things, the ability to relate this continually changing data to specific specimens that may have been received on the protocol. This enables researchers at the Disney Cancer Center to make best use of the data they have, which in turn enables the patients to receive faster, more specific care for their particular ailments. Specimens are collected and then entered into the database (in accordance with the required research protocol). The Biorepository database software then automatically routes the specimens to labs for processing and storage. The resulting aliquots are placed in bar-coded vials and carefully tracked automatically as well as by Disney Cancer Center researchers, as they go through different types of processing over time. One vial will have a history of every process that has occurred to it, and in turn can be further split into two more aliquots (as seen in the example above). Simply put, a Bio-repository is a biotic data repository that collects, processes, stores, and distributes specimens for research purposes. So for the Disney Cancer Center, this means it is an integral part of their research and ability to treat their patients with the best level of care possible. With Providence planning on deploying this on a regional level, the benefits to both researchers and patients has only just begun. Read about the Providence and JWCI bio-repository system here. Read the Providence Health and Services press release about the JWCI bio-repository system here.